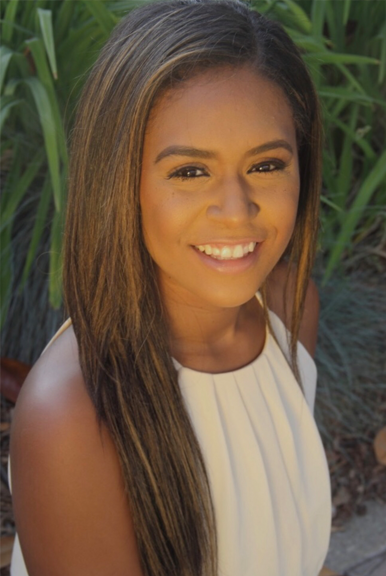 Micaella Mosley lives in Chino, CA and is the owner of Mila Rose Hair Care. She is the daughter of two minority parents; her father is from Chihuahua and her mother is from Los Angeles. 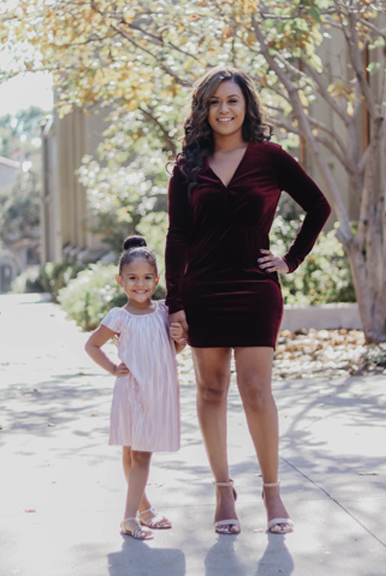 Micaella has a bachelor’s degree in Criminal Justice from Cal State Long Beach and is pursuing a master’s degree in Forensic Science from National University. On top of being a business owner and working on her master’s degree, she is mother to her three-year-old daughter, Mila, who is her world. Everything that is going on in the world. I just want to help everyone some way, somehow. Your brand, Mila Rose, is named after your daughter. How did becoming a mother impact your life? My life changed when I had my daughter. I became more responsible and thought about our future instead of thinking only about the “right now.” I never imagined having my own business and I probably would have never started it if I didn’t have her. At the age of 25, I was a single mother, in college, and interning all at the same time. I got to talking to a lot of my coworkers and realized that the majority of them had small businesses on the side. I began to realize that California is expensive and that I had to have back up finances to secure my daughter’s future. In a matter of 3 years, my daughter taught me how to hustle and remember that family always comes first. Tell us how your brand evolved from there? In 2015, I started handcrafting my own shampoo, conditioner and leave-in conditioner, based on some research I had done about what ingredients were good for curly hair. In 2017, I decided to turn this into a company, and created a brand for individuals who wanted to show their curly hair some TLC. I then expanded my brand to include straight hair products as well. The products are free of Sulfates, Parabens, PEGs, Dyes, Mineral Oils, and Animal Cruelty, which is really important to me. If I wouldn’t use my products on myself or my daughter’s hair, then I wouldn’t sell it. I take pride in the ingredients I use because not many people are aware of the side effects that harsh chemicals can have over a period of time. This is the main reason behind my brand. I did not want harsh chemicals to be in my daughter’s bloodstream, and everything you apply to your scalp goes into your bloodstream. How did you balance your daughter, school, interning, and starting a brand all at the same time? My grandfather was a big inspiration for me during this crazy time. In September of 2009, he passed away from stomach cancer. But before his last chemo treatment, he told me how proud he was that I was doing something with my life. There were times when I was over school, when I was pregnant and driving 2+ hours to school and unable to keep food down or sleep through the night. I failed 3 out of my 4 classes during that first trimester. However, I always pushed through because I knew my guardian angel, my grandfather, was watching over me. Finances: You do not have to spend a lot of money to make money. I started Mila Rose with $2,000. I got $1,000 from my dad and the other $1,000 from my student loan. Starting your own brand: Time management is very important, because if you don’t dedicate at least a few hours each day, then you will have to work tons of hours, multiple days in a row, with no days off. Getting those first customers: It can be hard, but once you gain a few customers, everything will be word of mouth after that. Those first few customers will be loyal customers and will want to see your business grow. Learn more and shop Micaella’s hair care line Mila Rose at https://www.milarose.store.